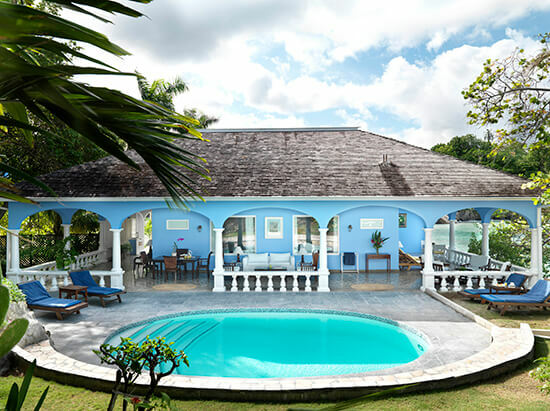 Nestled in Ocho Rios on one of the best private beaches in Jamaica, you can choose from intimate suites and cottages at this exclusive retreat. There are just 48 rooms, which feature no televisions, radios or clocks, so you can fully immerse yourself in the Caribbean way of life. Fancy a massage? The Ocean Spa, nestled in the cliffs of Cutlass Bay, promises a tranquil outdoor setting, where you can sip iced lemongrass tea on the deck before your treatment. Whether you opt to savour cuisine on your veranda, on the beach or at the open-air Jamaica restaurant, exquisite dishes and tasty cocktails are a given. What’s more, the weekly lobster night is hard to beat. If it’s good enough for Simon Cowell and the Beckhams, then you know you’re onto a winner. This legendary resort in Barbados is a favourite among the A-List, and it’s easy to see why. 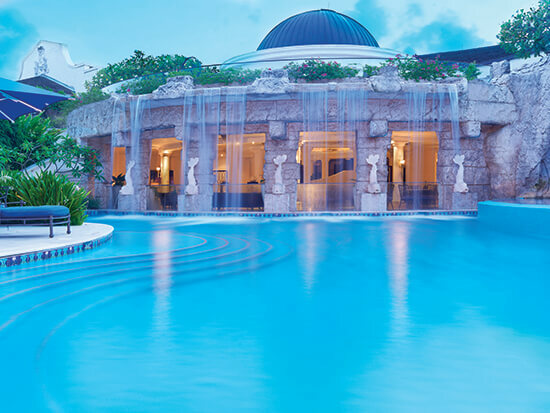 Private villas, some of the best golf in the world and an award-winning spa are just a taste of the luxuries you can lap up at Sandy Lane. Our favourite rooms are the Luxury Orchid Suites, set amongst the tropical flowers and featuring private dining patios. When you feel like venturing outside the comfort of your villa, an al fresco beachside table beneath a canopy of mahogany trees at L’Acajou restaurant will be waiting for you. We hear the prime-aged steaks here are not to be missed. Often dubbed the Caribbean’s most glamorous hotel, this iconic resort – the first in St Barths – is home to tastefully-decorated rooms, Bvlgari bath products and impeccable dining opportunities. Perched on a rocky bluff, here you can truly live the island dream. Dive into the emerald waters and swim alongside kaleidoscopic marine life, hire one of the resort’s motor yachts to explore the coast, or enjoy a spa treatment in the privacy of your room. With its own recording studio, designer shopping and an art gallery, boredom is not an option. Reachable only by boat and with no cars in sight, this idyllic paradise in Antigua is home to powdery sands and gently winding cycle paths. With just 40 guestrooms and suites, plus a collection of exclusive villas and estate homes, you can look forward to supreme privacy at Jumby Bay. Travelling with a family? This resort has it covered. From a babysitting service to a kids’ club, activities for teenagers and even a junior spa menu, it’ll be tough to drag younger guests away. My favourite thing about this hotel is the private beach dinner. After meeting the executive chef to create your dream five-course menu, you will be invited to a private cocktail reception, before taking a seat at a secluded beachside table to enjoy your feast beneath a sky pinpricked with stars. How does staying on your very own private island with five beaches, a spa, and a signature restaurant sound? 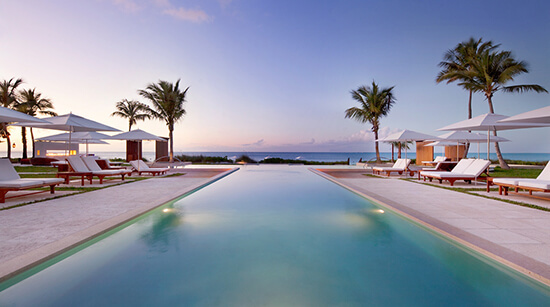 After lounging by the pool, sway gently in a hammock on the beach or paddleboard across the shimmering water. Enjoy a picnic lunch on the golden sands; take a stroll through the Coconut Grove Garden and indulge at the 10,000-square-foot Spa at Peter Island. 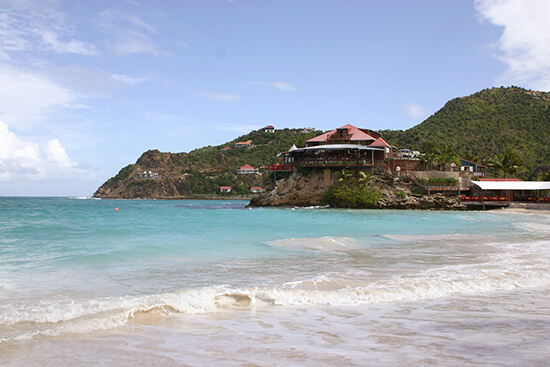 The only reason you’ll want to leave your lounger is to dine at Deadman’s Beach Bar & Grill. Or, if you just can’t tear yourself away from the last of the sun’s warmth, simply raise a flag to place your order and wait for your Caribbean feast to be delivered directly to you. Imagine waking up and slipping straight into your own infinity pool, with unparalleled views of St Lucia's dramatic twin peaks of the Pitons, a UNESCO World Heritage site. 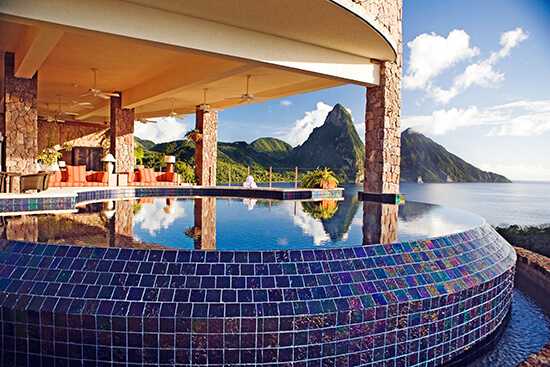 Accommodation at Jade Mountain features no fourth wall, so your living space opens up onto the lush surroundings. What’s more, there are no televisions or telephones to interrupt your serenity. Foodies will be in heaven here – the Jade Mountain Club offers a superb gourmet menu devised by award-winning chef Allen Susser. Weekly culinary events include chocolate sensory tasting and the St Lucian rum mixology class, but my personal favourite is the Jade Lunch & Learn Cooking Class. Afterwards, you can tuck into your three-course menu while a wine expert pairs the perfect tipple with your cuisine. Not only does this hotel sit in one of the most beautiful destinations in the world, it has something to suit everyone. Youngsters will love the Kids’ Town and children’s pool, while the Anani Spa offers beachfront massages and couples’ treatments. 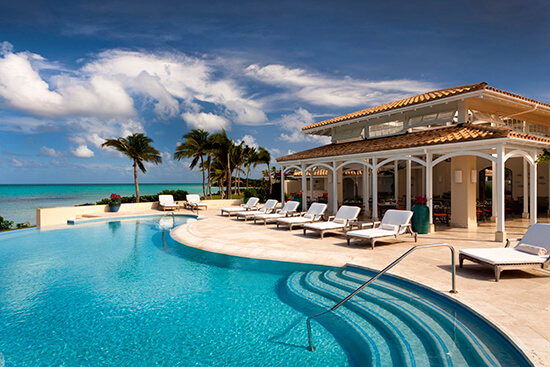 Dining will never be the same after you’ve experienced all that Grace Bay Club has to offer. The Infiniti Restaurant & Raw Bar promises cuisine featuring the freshest ingredients, while plenty of vegetarian and gluten-free options are available. Dishes including tiger prawn piccata and Caribbean red snapper seem to taste even better when served overlooking a golden Caribbean sunset. Choose from even more incredible paradise hotels like these via our Caribbean and Mexico holidays. For more inspiration, pick up your copy of our brochure in-store today or check it out online!